The Russian ruble has clawed its way to around 65.1 against the euro, its strongest since December 26, ahead of the ECB €1.14 trillion stimulus. It’s up against the US dollar at about 59 with Brent above $60/bbl and a more stable Russian financial market. Russian analysts suggest ruble growth is being mostly driven by the stabilization of Russia’s financial market. The growth comes “partly due to the rising crude oil price, partly thanks to the measures by the Central Bank of Russia (CBR) to stabilize the national currency because of its active action with the currency repurchase agreement [repo – Ed.] 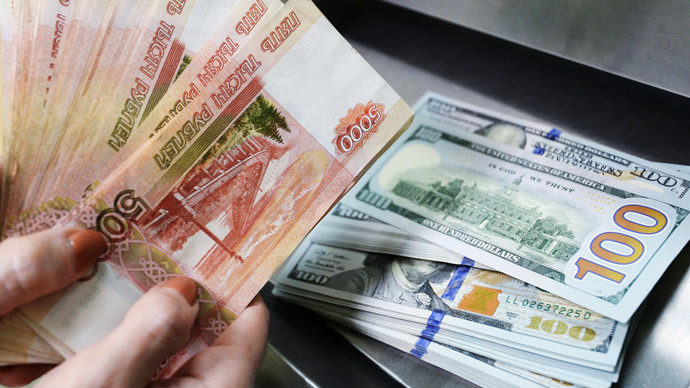 tools, which should stabilize the situation in a currency market amidst active payments of foreign corporate debt this month,” Sergey Kozlovsky, head of the analytical department at a broker Grand Capital told TASS. Among other factors contributing to the ruble’s rise could be Aleksey Navalny’s release from prison on Friday. On February 19 Navalny was sentenced to 15 days not properly organizing a protest meeting. In the case of the euro, Thursday’s ECB announcement of the start of its easy money policy is another big factor that’s dragging it down. Mario Draghi said the €1.14 trillion bond – buying program will kick off Friday. The latest US non-farm payroll data and rig counts to be released Friday will be the major oil drivers during the day. Iran nuclear talks also play a big part in oil pricing. Any sign of a long-term agreement between Iran and the six countries in the West would signal huge new supplies from Iran soon coming back on the market. WTI and Brent crude have been mixed in Friday trading. At the time of publication Brent was up at 60.84 a barrel , with WTI growing to $50.91 a barrel. The escalation of fighting in the northeast Iraq and a worsening security conditions in Libya have caused supply worries.In mid-January oilplungedbelow $45 a barrel for the first time since 2009, after it hit $115 a barrel in June 2014. Vladimir Evstifeev, deputy head of analytical department at Zenit Bank, says investors now see fewer risks of a further oil price fall. “The OPEC representative’s rhetoric that includes expectations of a lasting high oil demand, the operative statistics of its supply in the US and also more action from China’s authorities to stimulate the economic growth create some protection from a possible collapse in quotations,” he told TASS. On Tuesday key OPEC member, and the world’s biggest oil exporter, Saudi Arabia said next month it will make the biggest discount cut in three years on Arab Light sold to Asia because demand is improving. This would cut the discount by $1.40, its biggest price increase since January 2012, according to data compiled by Bloomberg. Saudi Arabia is insisting it could survive a price as low as $20 a barrel. Some experts believe Saudi-led OPEC is playing a game to squeeze rival producers out of the market, mainly the US. “If they are going to keep the prices at $60 per barrel, they can take off line a lot of tight oil production in the United States,” Thomas Rotnem, professor of political science, told RT. The only question that remains unclear is whether they can really afford to bring the oil prices down. However, some say the huge Ghawar oil fields in the east of Saudi Arabia can be profitable at $10 per barrel, he added. “Saudi Arabia has definitely had a hand in trying to undercut the fracking industry in America, and it pretty much had some success,” Rotnem said. Some analysts also fear the world could run out of storage capacity soon, triggering an even steeper fall in oil prices, as producers sell oil to the few remaining buyers with room to store it. The US is now supplying at the levels not seen in the past 80 years, and has filled about 70 percent of the nation’s storage capacity, according to data from the Energy Information Administration. A separate estimate by Citigroup shows European commercial crude storage could be more than 90 percent full.